Note: I decided to treat Matty Collector’s Janine & Samhain 2 pack like they had been packaged separately. Because of length too, I’ll be writing about Retro-Action Samhain and the diorama firehouse in a separate update. I never really knew if Matty Collector’s Retro-Action The Real Ghostbusters were successful on a financial level for the company. If you believe Mattel (outside of ghostheads) the most popular figure was a 6” Peter Venkman. Unfortunately almost at any given time I saw the Retro-Action The Real Ghostbusters at my local Toys ‘R Us long after I probably shouldn’t have. Which is why when Mattel announced at the 2011 San Diego Comic Con a Retro-Action Janine & Samhain 2 pack I was :::dramatic pause::: taken back and thoroughly surprised. And also to include Slimer and a firehouse diorama, wow! Someone at Matty Collector was thinking outside the firehouse. 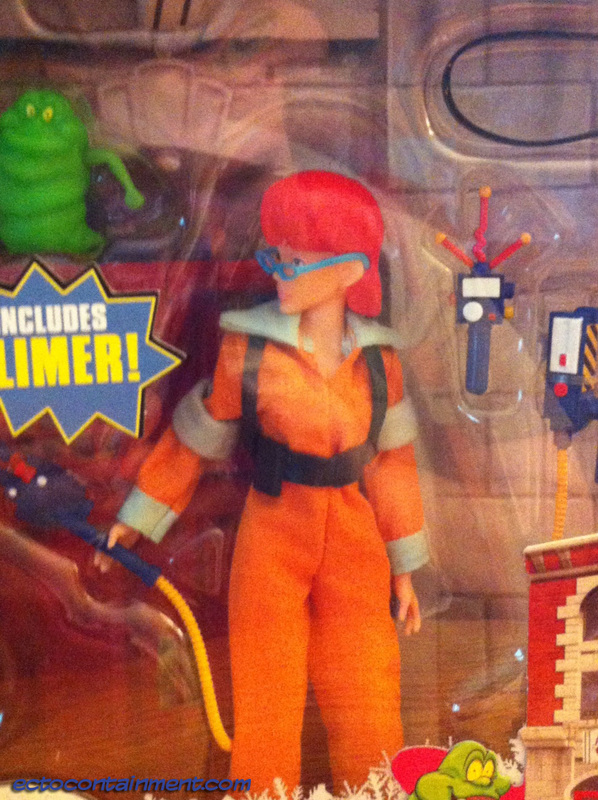 Up until this set was announced the only impression we had from Mattel about Janine was based on the promotional art work featured on the card back of the Retro-Action The Real Ghostbusters. The artwork shows Janine’s new look from season 6 Janine, You’ve Changed and continuing. I thank Mattel/Matty Collector for not being lazy, basing their Retro-Action Janine on the promotional artwork and the later seasons.